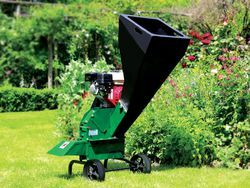 The 750 Chipper garden chipper is designed to chip your garden waste. This chipper has a large disc with two sharp blades that simply chip the material and discharge it out of the chute. 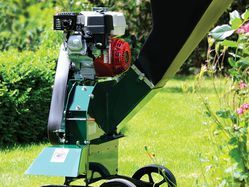 It is capable of cutting/chipping vines, palm fronds, gnarly gums and other tough materials up to 65mm in diameter. 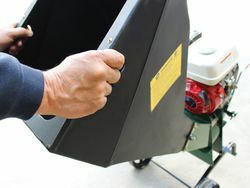 The chipper chamber is designed to eliminate clogging and to meet the required safety regulations. 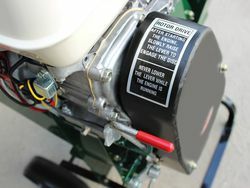 With a “NO LOAD” start lever the engine starts with minimum effort. 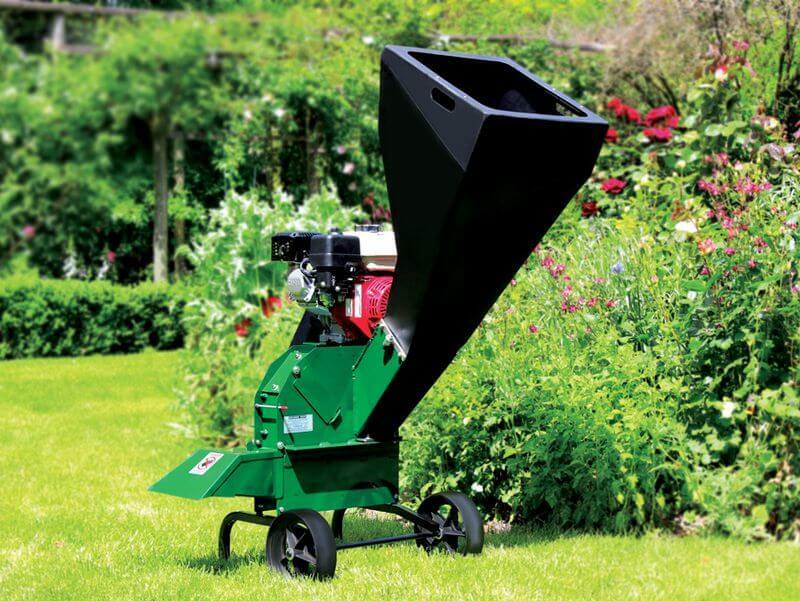 Being purely a chipper, the 750 model will not produce fine grade mulch to the same extent as the 650 Deutscher Chipper shredders. But, it handles what a chipper shredder can’t. 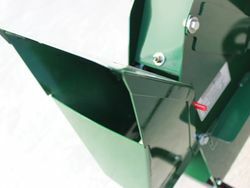 The front discharge chute can be raised to allow the machine to fit through doorways & gates. The blades can easily be removed when required through the maintenance plate on the side.